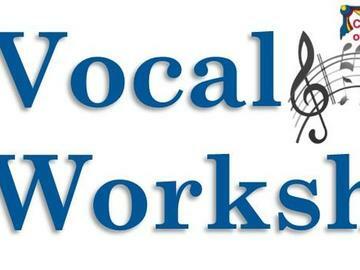 Enhance your vocal performance skills and confidence in this comprehensive workshop for singers of all levels! You will learn warm-ups, terminology, technique, breathing, and more. Through group + individual singing, discussion, & feedback students will explore what makes for a great vocal performance. A showcase demonstration will be held at the end of the final class for family & friends to attend. Learn how to make a song your own, free your voice, & liberate your vocal talents! NOTE: Students must provide sheet music + digital accompaniment tracks for two musical theatre vocal selections from their repertoire that they would like to improve upon. WHEN: 7:00 p.m. - 8:30 p.m.; Mondays, February 11 - March 18, 2019. Performance: 8:00 p.m.; Monday, March 18, 2019. TEACHING ARTIST: Michelle Harmon Bruno is a WATCH nominated director and actress. Directing credits include: Disney's Beauty and the Beast* (CTA), Communicating Doors (Colonial Players), Sleeping Beauty (CTA), Inventing van Gogh (Colonial Players). Musical & Vocal Direction at CTA include: Broadway Kids (workshop teaching artist), James and the Giant Peach JR (music director), CTA Harmonix (workshop teaching artist), Bugsy Malone JR (music director). Click here to read more about Michelle. * 2018 winner of the Ruby Griffith Award for All-Around Production Excellence. All participants must be current members of CTA ($20 for one or more students within the same family). Valid from July 1st through June 30th annually. Minimum of 3 weeks prior to class: Full refund minus the membership fee. 2 weeks prior to class: Refund minus $75 registration fee and membership fee.